This woman and her friend were feeding the local stray cats in their neighborhood one day, when they noticed a newcomer kitty. There was something different about this cat – the belly was extremely swollen. And that’s when they realized the ginger tabby might be very pregnant! What an adorable, happy family—SHARE this cute video with friends! 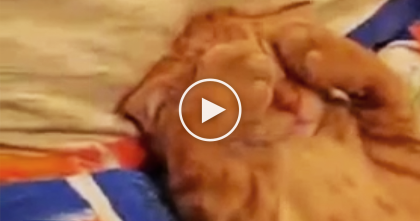 This Kitty Goes To Sleep, But Watch What He Does With His Paws… TOO Much Cuteness!! 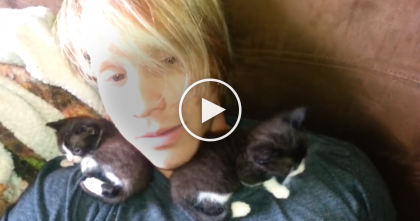 These 2 Week Old Foster Kittens Try Snuggling Up To Their Human Dad For The First Time…AWW! 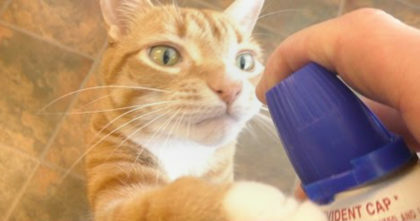 Man takes out the whip cream bottle, but when the cat hears the sound… Now watch how he reacts! 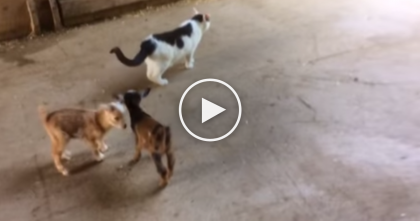 Moo the Barn Cat Has The Best Job On The Farm…Wait Till You See It! 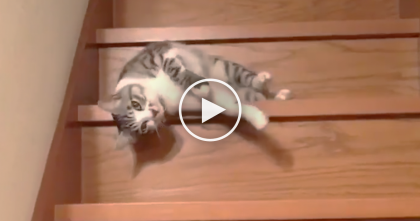 Cat Discovers A New Way To Get Down The Stairs, And You’ve Gotta See It… Omg, HILARIOUS.